The Provincial Administrator of ZANU PF Bulawayo Province Elifas Mashaba has been caught in the eye of a storm after President Emmerson Mnangagwa on Wednesday dissolved Bulawayo Province ZANU PF structure after there were revelations that there is jostling of power between Mashaba and Deputy Chairperson Abednico Nyathi. 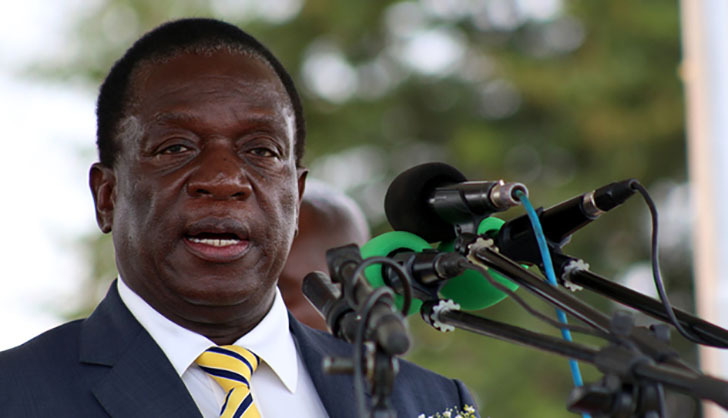 The Herald on Wednesday announced that President Emmerson Mnangagwa has dissolved the Bulawayo Province ZANU PF structure. Reports that have reached us indicate that the structure was dissolved after Mashaba was fingered in a series of scandals involving fuel dealing in Bulawayo. A reliable source from the ZANU PF Bulawayo Province told this publication that Mashaba in the recent past cut deals with the Reserve Bank Governor John Panonetsa Mangudya for the RBZ to supply Mashaba with foreign currency for him to purchase fuel. Mashaba reportedly tried to use his political influence in the Province to force Tshova Mbayiwa and City Transit kombis to mandatory purchase fuel from Southern petroleum an entity belonging to Mashaba. This publication can authoritatively reveal that the two transport companies refused to be part of the deal and snubbed the offer by Mashaba. An exclusive interview with a ZANU PF Bulawayo Province official revealed that Mashaba is working with one Khumbulani Mpofu who is popularly known as ‘Stranger' in ZANU PF circles and one Cecelia Verenga in an effort to prop up his political prowess so as to land the Chairmanship post. Mashaba is claiming to be a member of the Mnangagwa inner circle and not just a provincial member of the party which is his claim to power. Mnangagwa has been accused of running a kitchen cabinet made up of Karanga elites who include July Moyo and other Ndebele members who relate to him from his other family like Dr. Misheck Sibanda. Sources close to ZANU PF have revealed that members of the dreaded Central Intelligence Organisation are instituting investigations behind the licensing of Southern Petroleum which they have raised a red flag on.